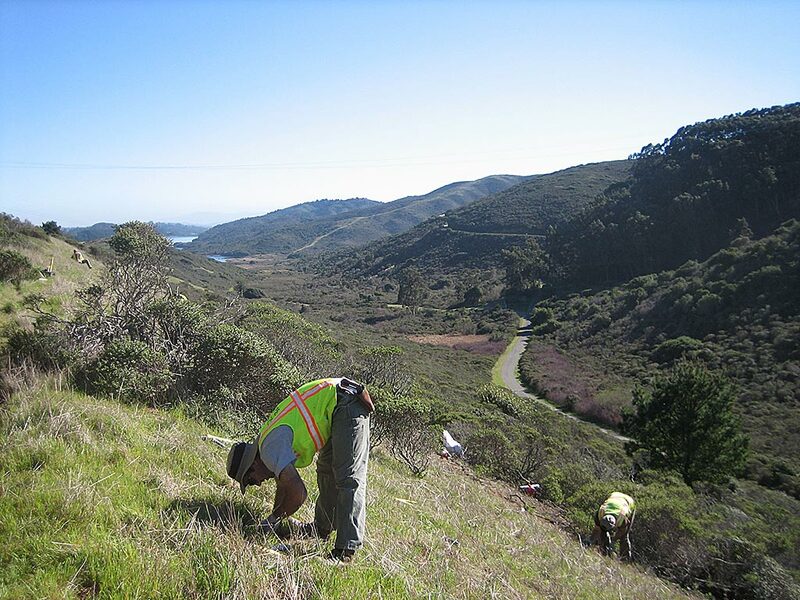 In early 2011, the National Park Service and Federal Highway Administration began a series of significant improvements to the road network within the Marin Headlands National Park unit to improve visitor experiences and traffic safety. 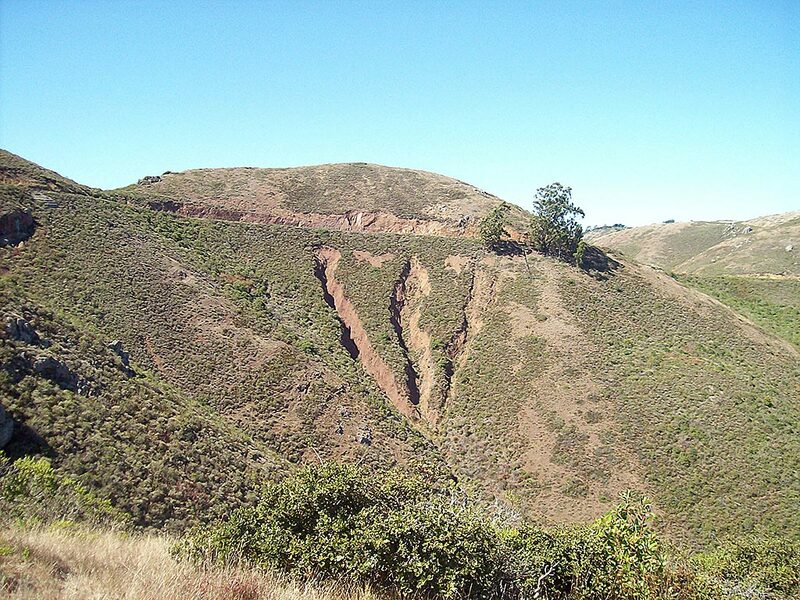 Some sensitive habitat that supported the Federal Endangered Mission Blue Butterfly (Icaricia icarioides missionensis) would be impacted during road construction. 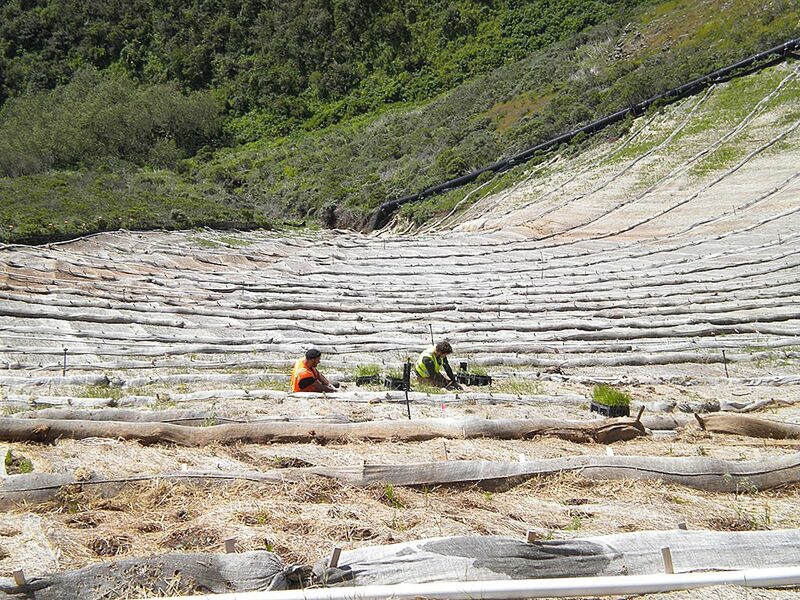 Federal regulatory agencies required the mitigation of impacts to endangered species habitat. 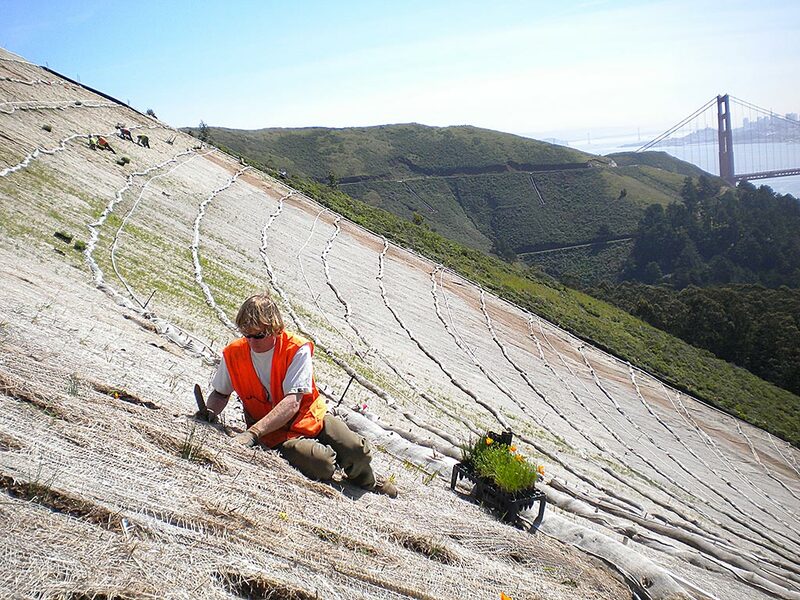 Shelterbelt was hired to install over 30,000 genetically-local native plants to the mitigation areas within the project site in the Marin Headlands, including a significant landslide that threatened the long-term stability of major roads. In addition to planting, Shelterbelt seeded and mulched restoration areas impacted by construction. 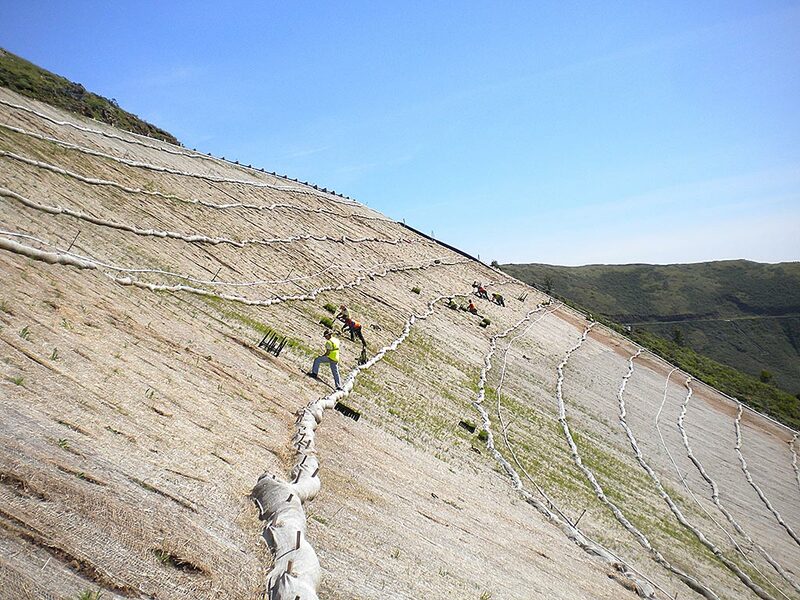 The construction timeline was extremely narrow, but Shelterbelt staff was able to meet the challenge and finished installing over 30,000 plants in just over 30 days. 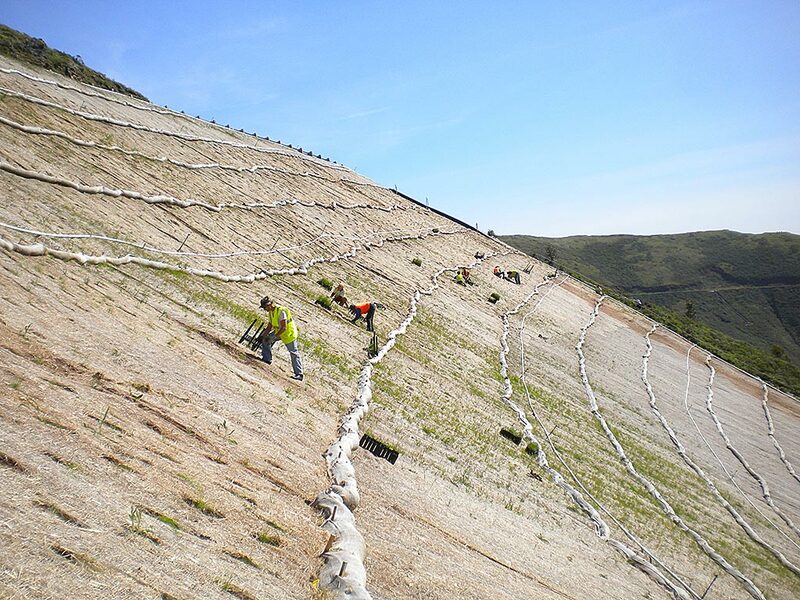 In 2012, Shelterbelt completed another contract to plant over 25,000 additional plants and apply mulch and seed in new construction impact areas.